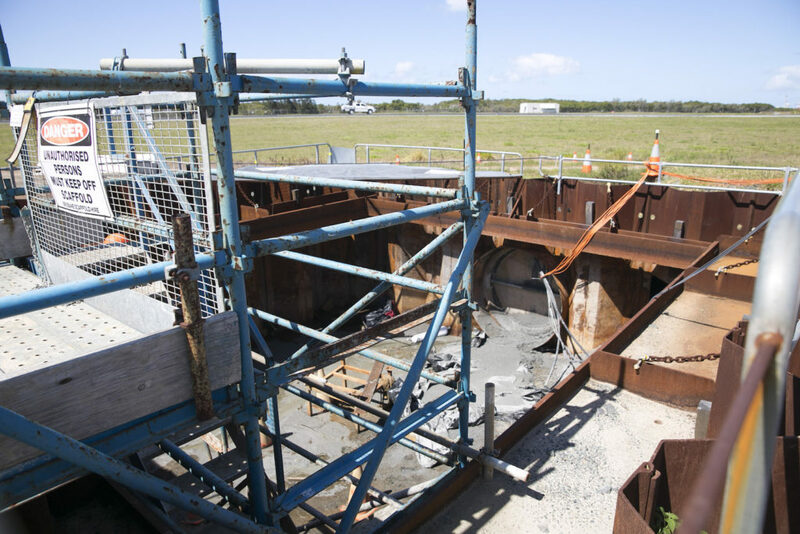 Following the removal of a temporary dredge pipeline that was installed in a concrete enveloper culvert beneath an operational runway, a dilapidation site inspection revealed damage to the enveloper pipe. Mainmark was contracted to complete permanent abandonment works of the 280 metre concrete enveloper culvert. The repair project was completed in two stages and appropriately adhered to the site’s safety standards. The site’s operational requirements dictated a project schedule of three, two-day shutdown periods. 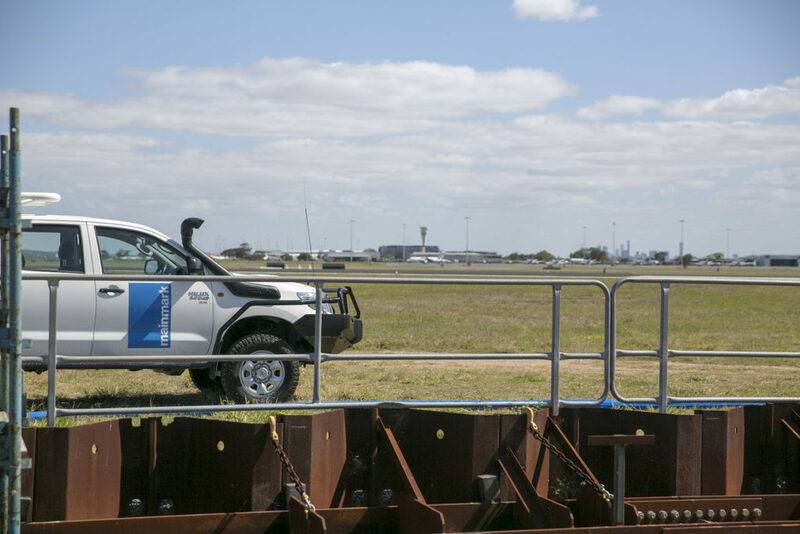 The repair project formed part of a broader program of work within this critical infrastructure environment, which required the temporary installation of the dredge pipeline beneath the runway to facilitate sand surcharge reclamation works for the future New Parallel Runway (NPR). The project scope included structural void filling for permanent abandonment purposes. Mainmark completed the repair project in two stages. The pipe was first sealed using Mainmark’s structural resin injection technology, Uretek®, to prevent water ingress. It was then filled with Terefil™, a proprietary advanced lightweight fill for geotechnical and structural applications. 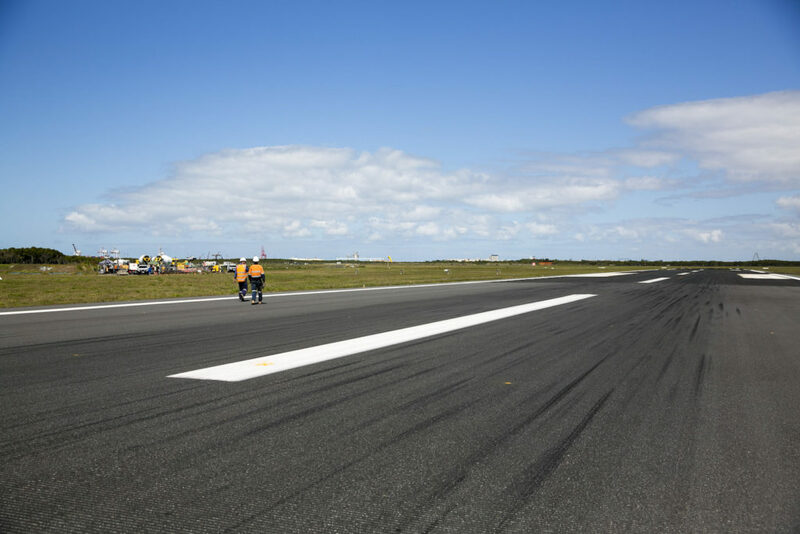 The project was accomplished in three separate weekend shutdowns in a busy operational airfield environment, with very limited access to the aircraft pavement areas along the alignment to the culvert. The first objective was to protect the pipe against further water ingress with chemical grouting and structural void filling. The second objective was to completely fill the pipe. Given the critical nature of runway operations, the specifications for fill material were rigorous. The project required a lightweight and flowable solution with no shrinkage, which would achieve a minimum of 300kPa compressive strength in 24 hours and a minimum value of 1 MPa at 28 days (with dry-cast density no greater than 1,400kg/m³). High sulphate resistance was also specified. A stable filling with a design life of 100 years was specified, and an expedient solution was required to minimise downtime. Uretek was first used to seal the culvert. A proven solution for strengthening and re-supporting sunken structures, Uretek resin injection technology is based on the expansive power of multi-component mixtures of structural geopolymer resins and hardeners. Mainmark then used Terefil™, an air-tightened lightweight cementitious mass void fill material, to fill the culvert. The proprietary grout design mix was developed specifically for the project, and was trial batched, cured and independently tested prior to the works to ensure pumpability and compliance with the project’s specification. 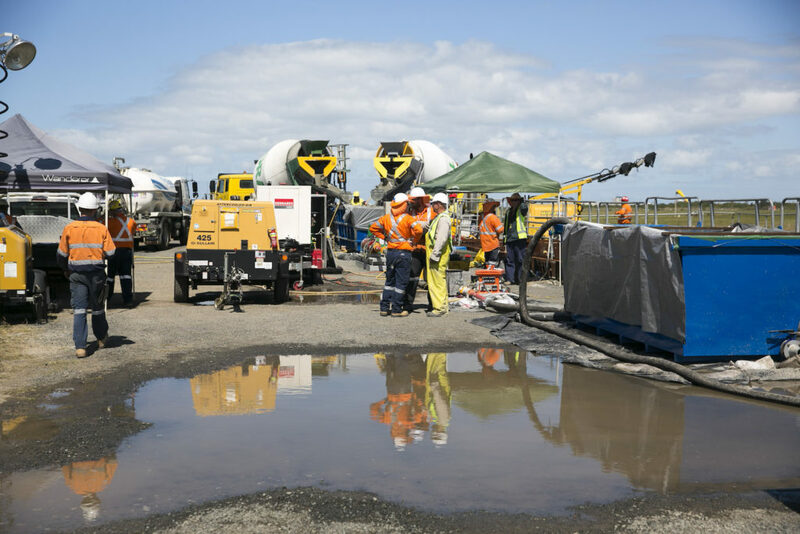 During the project, the grout was batched locally, and augmented and pumped on site using a purpose-built pump and truck-mounted injection equipment. 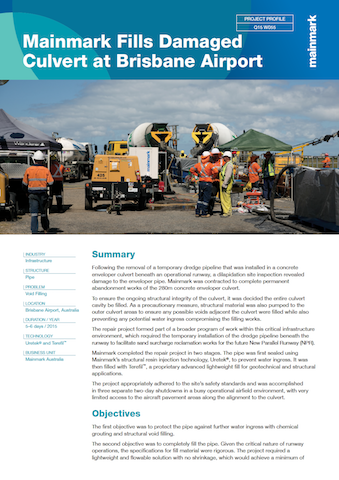 As access to the aircraft pavement was not permitted during the works, Mainmark fabricated and installed six separate three-inch high pressure grouting conduits within the culvert, totalling 1,400m. These conduits allowed grouting to be undertaken from a single access point at one end of the culvert. The filling operation was monitored in real time by 16 separate sacrificial cameras installed within the crown of the culvert, which ensured the culvert was completely filled, with no air pockets within the crown of the pipe. As a highly flowable and easily placed material, Terefil™ was ideal for this project. It also does not require pre-loading or compaction for settlement mitigation, will flow into spaces to fill voids and exhibits shrinkage of less than 0.1 per cent. Compared to typical foam fills, the proprietary technology used in Terefil™ has increased stability, a greater lift thickness and can be pumped greater distances. Extensive compressibility testing has validated the ability of Terefil™ to resist cell collapse from pressure. The project was successfully completed, on time and within budget. The injected grout delivered a minimum strength of 1000kPa and Mainmark provided a warranty of 50 years on work and material.